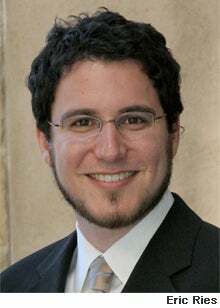 Eric Ries was one of those fresh-faced tech geniuses of the late 1990s who'd spent his adolescence as an expert computer programmer and his years at Yale University developing his own well-funded dot com. If anyone was poised for startup success it was this guy. But unlike the Sergey Brins of the world, Ries didn't reap millions. His company folded with the crash of 2000, leaving him buffeted by the dispiriting aftermath of the dot com bust. Ries was a fast-learner, though, and after a few years of missteps, he came up with his own startup theory, a strategy that eventually helped him earn his fortune and even more impressive, help launch a new entrepreneurial movement. Ries calls it the "lean start-up," an idea he first introduced as a series of posts on his now popular blog Startuplessonslearned.com that offers new ways to cut work time and investment. In the last two years, the lean start-up has become a mantra among tech investors and entrepreneurs--as well as a 5,000-strong global Meetup.com group--largely because it's designed to thrive in today's soft economy and rapidly shifting Web-dominated culture. "Fundamentally, the lean start-up is a methodology for coping with uncertainty and unknowns with agility, poise and ruthless efficiency," Ries says, speaking via cell phone between meetings in Silicon Valley. "It may be that nobody knows what the right features are for this set of customers. We have to discover that through a process of learning and discovering." The lean start-up centers on a seeming paradox: the execution of a grand vision with the willingness and flexibility to scrap it and start over if necessary. "Great entrepreneurs," says Ries, 31, "can simultaneously hold it in their head that they have a brilliant vision and that their plan is probably fatally flawed in many ways." 1. Metrics are people, too. Don't presume you know your customer. 2. Every product is an experiment that tests a specific hypothesis. 3. Don't hire for a job unless you've tried and failed to do it yourself. But Ries doesn't necessarily advocate steamrolling a vision with consumer insight. The idea is to fine-tune ideas as you go, rather than invest heavily in one static concept. Products need to be considered experiments, says Ries. And don't mistake "lean" for "cheap." By producing smaller batches of product initially, for instance, a startup can be more nimble and responsive to customer feedback, he says. Ries learned these lessons the hard way, as a pioneering developer in the world of online social network via 3-D virtual worlds. His first trial was with his own Catalyst Recruiting, a resume database he co-created for recent college grads. "It was one of several experiences that taught me it requires a lot more than just building something cool to be successful," Ries says. At his next couple of jobs, he joined well-funded, well-organized teams that still couldn't successfully evolve an idea to meet the consumer's needs. Those years of misfires did eventually pay off. In 2004, Ries became co-founder and chief technology officer of IMVU, an online virtual world for social networking and Second Life competitor. The company's annual revenues are expected to hit $60 million by year's end. Since 2009, Ries has advised more than a dozen startups including Aardvark, a social search service acquired by Google for $50 million last February. This fall, he becomes "Entrepreneur in Residence" at Harvard's Business School, helping develop a new MBA entrepreneurship class based on his lean start-up theories. "It's very common to say that perseverance is important," says Ries. "But there are a lot of entrepreneurs who persevere the plane into the ground. If you're building something nobody wants, who cares if you're doing it on time and on budget?"